Description: Artie is a little Wolkhar boy growing up in the Human village of Windagill Valley with his mother, Judi, and his grandfather, David. 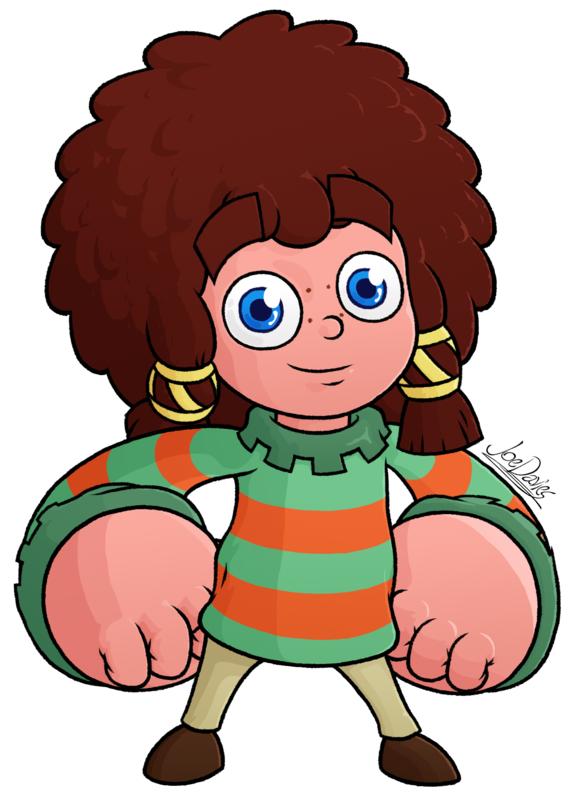 Because of the peaceful nature of the village, Artie has been living a carefree life, having so much naivete and curious spirit that a lot of kids have. His family moved into Windagill Valley when he was very little, as part of their family trek across the world. But after a terrible incident took his father’s life, the want to explore the furthest reaches of the world seems to have faded, and thus they have made residence in Windagill Valley up till now. Despite being the only Wolkhar child in a village full of Humans, Artie had made quick friends with all those around him and likes to help out those in trouble or hang out eating ice cream with his buddies. He has become quite popular with the villagers, though sometimes they don’t notice him nearby because of his very short stature. Like a lot of Wolkhar boys, Artie looked up to his father for his brave exploits, but after he had passed away, he seeked a strong role model from someone else, hence why he absolutely loves reading about the adventures of the famous Leo Armstrong. He is an avid collector of Armstrong’s merchandise, and hopes to one day become a knight of his unit. Although, he takes this interest a bit too far by reading comics of Armstrong in the classroom, which often gets him into trouble. Like a lot of Wolkhar, Artie mostly uses his poofy afro as a storage space for most of his things, though he doesn’t like it when others sneak in stuff into it when he’s not looking, especially if it’s bubblegum. Though he’s not a genius, he’s very sporty, and enjoys physical activities like football and such. His favourite sports involve a lot of armwork, including netball and tug-of-war, as his huge arms often give him the advantage of power, although some other kids think he’s cheating because of this. He’s an all-around normal and fun kid. Appearance: Being the main character, he’s very well-rounded in design. Literally. Most of his design consists of circles; his head, his hair, his hands, etc. He sports a classic, poofy afro, with some nice little side tufts as well. His body is a classic vertical-rectangular torso, with two dainty little legs, a classic look for the Wolkhar. He wears a very celtish-inspired striped shirt that is coloured in a strange cyan and orange combination. I don’t know why I went with that colour scheme, but I think it kinda suits him now. – As you can imagine, Artie’s name is inspired by the mythical King Arthur. His last name is inspired by the enemy forces that King Arthur fought in legend. I just thought it sounded nice as a name, hence why I went with it. – Artie was originally bald and mute. Since I want him to be a video game character, I believed muteness was par for the course for video game protagonists, but now I learnt how foolish of a decision that was. As for his hairstyle, it was greatly inspired by a fellow deviant who kindly did an animation of him putting on his armour and attacking. For some reason, he gave him an afro, yet I thought it looked great on him, and I stuck with it ever since. If I could remember the name of the guy who did that animation, I would definitely share a link to his channel, but I’m not even sure if he is a Deviant any longer. – Of course I didn’t come up with the idea of the Wolkhar first time around. Artie wasn’t a Wolkhar when I first made him, but instead just a little kid, who was more little than usual. Then he was a dwarf, because I thought having a protagonist that is not human would be kinda interesting. But then I decided to make a few alterations to the design and call it an entirely original species, because it eventually occurred to me that categorizing him to an existing fantasy race is kinda boring, especially one that’s been so overdone. So that is why Artie is normal-looking compared to other Wolkhar; his design inspired the idea of the race.